Your daughters will love to spend a night in all kinds of palaces since they all inhabited a princess at some point in time. What to do if you travel with sons? You need a specific type of castle to get their interest. The kind of castle that I expect King Arthur lived in. It needs towers, moats and draw bridges. And of course crenellations on top of the castle towers and walls. Evidence that the place was used for fierce battles by brave knights. Luckily these kinds of King Arthur Castles can be found all over Europe. Here are some suggestions, from luxury hotels to self catering holiday houses all dripping with magic. A medieval castle turned into a 5 star hotel, does it get any better? The picture says enough! Besides luxuries rooms and suites the hotel also has a Falconry School, the oldest in Ireland. You can practise the ancient art of falconry, just like the did in the middle ages. No previous experience is required! And while your kids are happily hunting with the birds, or playing with the Irish wolfhounds, you can choose between a variety of options, see a movie in the cinema, play billiards, tennis, archery, golf ... or just lie down and relax in this beautiful spa. 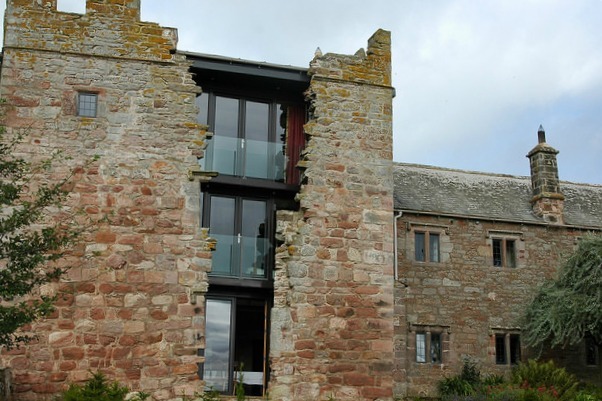 This fortified manor dating from the 1400s is refurbished to an extremely high standard and fully equipped. It holds a holiday home with 12 bedrooms and 11 bathrooms, giving room for 24 guests. There is a lot of space inside and outside the castle to discover, and therefore ideal for visitors of all ages. Blencowe Hall’s extensive gardens with access to the small river Petteril. Don't forget to bring your sword and shield! A beautiful twelfth century castle located in the pretty town of Sigüenza with a gorgeous Cathedral. 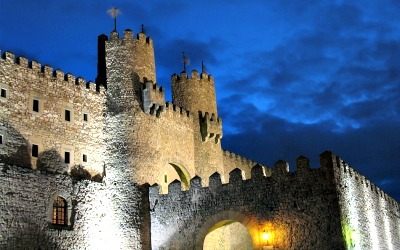 It is s huge castle with all luxury rooms and a very large and beautiful courtyard. The staff is very friendly. 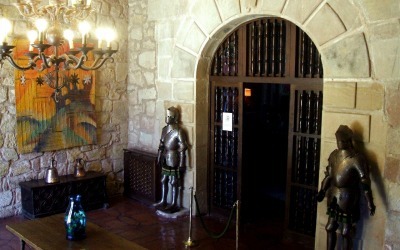 Okay, King Arthur did not stay here, it is an Arab fortress, but knight in shining armor are guarding the door! 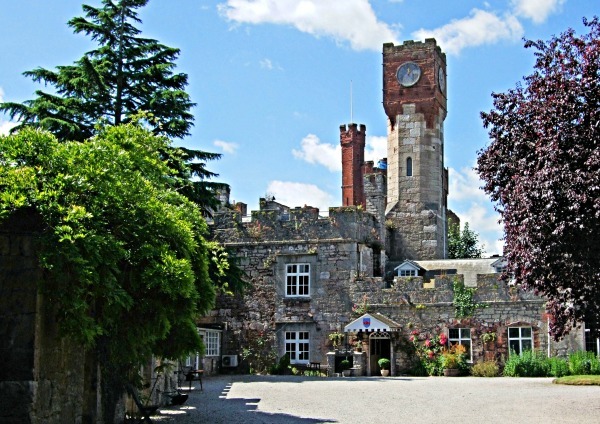 Ruthin Castle is a large hotel with ruins from previous castles in the surrounding gardens. The first castle was built in 1217 and ever since there has been building activity. So this is a great place to go exploring. Situated in North Wales, the castle dates back to the legend of King Arthur. There even is a ghost of the castle, by the name of Lady Grey. So this picturesque place is not for the fainthearted. 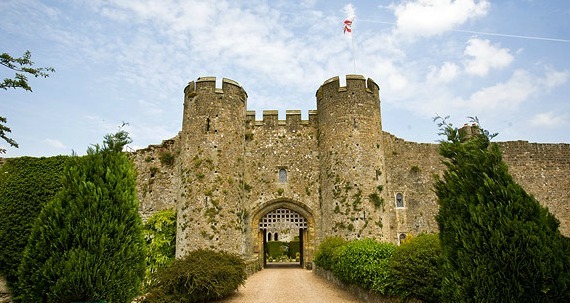 The Luxury-class Amberley Castle Hotel in England is more than 900 hundred years old. 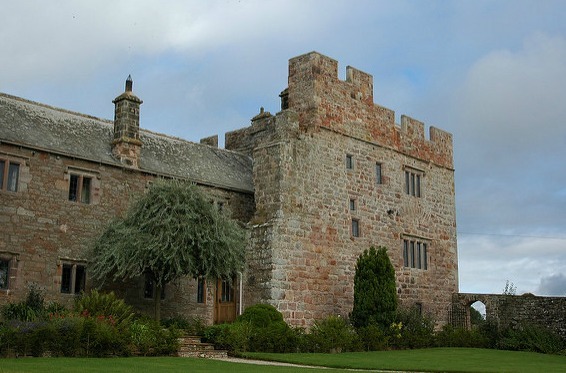 It is an authentic medieval castle which was visited by Henry VIII in 1526. He needed to speak to the Bishop Sherborne, who used Amberly as his home, about his divorce from his Spanish wife Catherine of Arragon. The bishops of Chichester owned the land and castle of Amberley since 1103 when they first started building. Bishop Sherborne was the last bishop who lived there though. 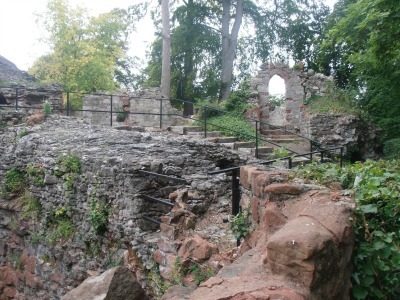 Because of the reforms during the reign of Henry VIII the castle fell into crown ownership. Queen Elizabeth I leased the castle between 1588-1603. The hotel is a combination of picturesque ruin and luxury hotel. Nice touch, they raise the drawbridge every night!